When untruths are told it is to avoid judgment or the negative reactions of those we tell. We don’t want to hurt feelings and we don’t want to be judged by others. 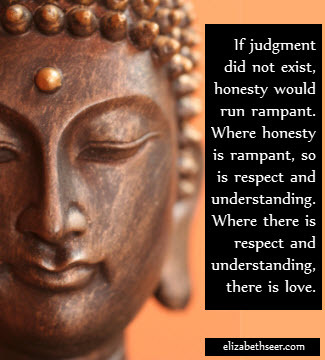 In fact, if people didn’t judge others so harshly, honesty might reign, and in honesty, there is respect and understanding. In respect and understanding, there is love. don't judge me, honesty, honesty is love, integrity, judging others, judgment, let me be honest, love another, love each other. Bookmark.